Waterproof (IP68 grade) 36w rectangle flush surface mount LED marine light system. WATERPROOF & SHAKE-PROOF: The housing of this product is made of robust 316 stainless steel material offering a great anti-corrosive effect. The shell surface is chrome plated and not only brights a glossy effect but also further enhances corrosion and wear resistance. GREAT LIGHTING SYSTEM: This products boasts a brighter lighting system without the increased energy consumption that comes with it!It offers am impressive 180°viewing angle and will illuminate brightly the water offering a great night vision on the water! DESIGNED TO EXCEED YOUR EXPECTATIONS: Our product is carefully designed to be long lasting and effective! It features an amazing heat radiation option as the aluminum housing and titanium alloy plated form an efficient cooling system to protect the light and extend the life cycle of the product. BUILT WITH QUALITY IN MIND: The lights go through shell molding, polishing, electroplating and other procedures during the production. In each procedure, we always only pick up the best one into the next round of processing. You have every good reason to trust our quality! PERFECT FOR A WIDE RANGE OF APPLICATIONS: These lights are super useful and can definitely be used in many ways for both pleasure and business applications, such as night fishing, lighting up your wave when going underwater and offering your boat a stylish design. Light up the water to make sure that you perform your night water activities, like swimming or diving with safety! Not need to mention how cool it looks! 2. IP68 grade which means 100% waterproof and anti-dust product. 3. Stainless steel 316 housing, excellent anti-corrosion material. 8. 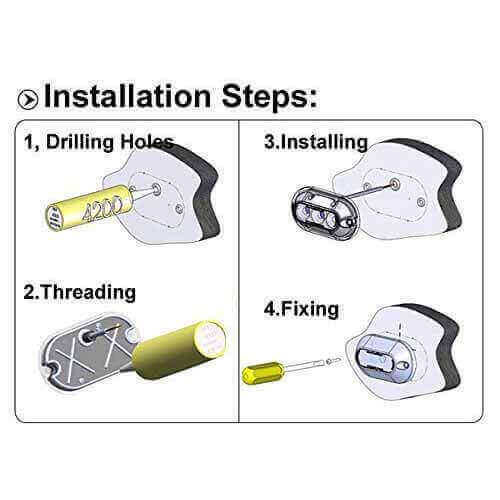 Easy installation for increased convenience. 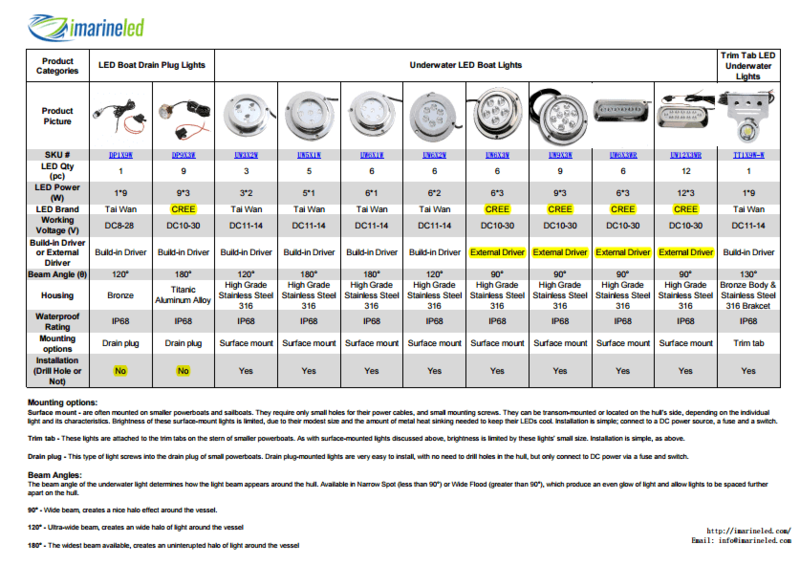 All our LED products are designed with users in mind and for easy DIY installation & direct replacement. Upgrade Your Boat Or Yacht On A Budget! Make Them Stand Out In The Dark! Would you like to perform a change in your boat or yacht that would completely alter the way it looks like on the water? Do you want this change to be both for practical and aesthetic reasons? Well, here you are! SAFETY COMES FIRST! With these amazing surface mount underwater LED lights be sure that you can see around and can be seen by others a well! The lights offer the perfect balance of brightness without interfering with the vision of other boaters! 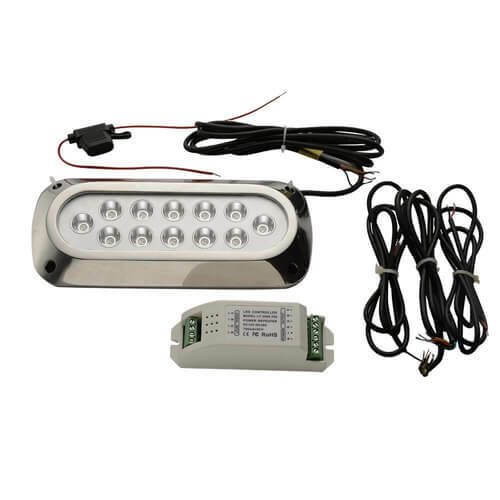 No matter if you like night swimming, diving or fishing, these lights will offer a more enjoyable experience whether sailing or power boating! The lights will offer an impressive illuminating and ambient effect you will definitely fall in love with! Unparalleled Quality & Convenience, Designed To Serve All Your Boating Needs! The lights offered by iMarine LED are waterproof, shake-proof, durable and heat resistant making sure that they are the best choice you can make for your boat! Use Them During Your Next Cruise And The Results Speak For Themselves! Don’t Waste Any More Time and Money! Place Your Order Now!